« How Do You BG? 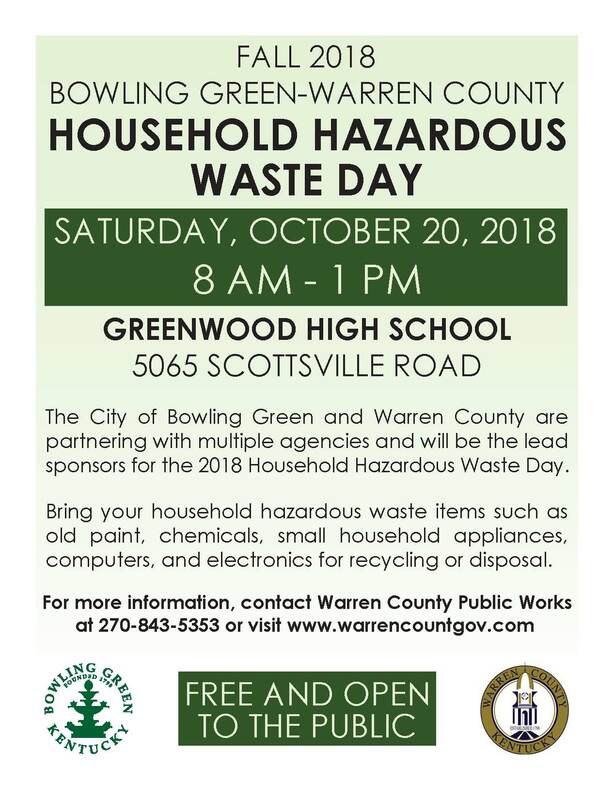 2018 Household Hazardous Waste Day! 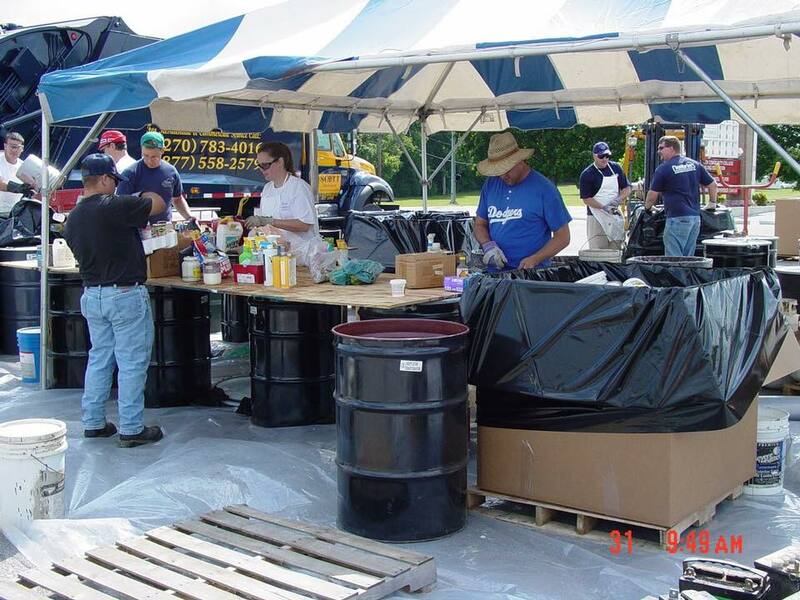 Have you been holding on to old paint, chemicals, fluorescent light bulbs, oils, antifreeze or other products that cannot be disposed of easily? 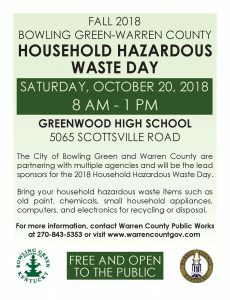 If so, the City of Bowling Green and Warren County have partnered to provide one day only to dispose of these items for you. 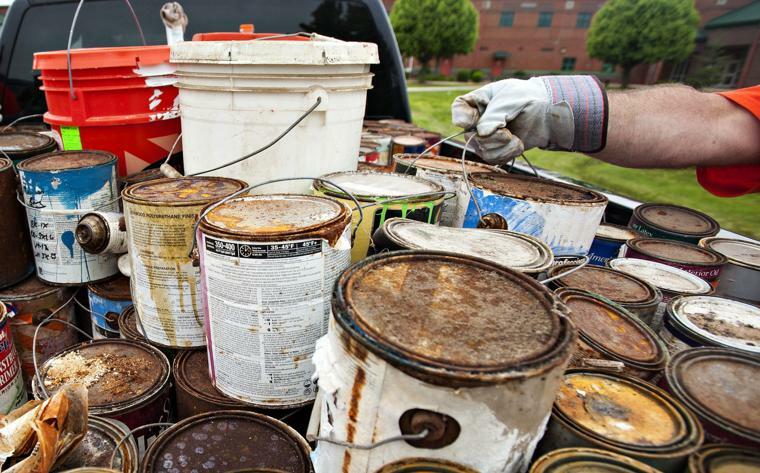 The Annual Household Hazardous Waste and E-scrap Collection Day will be held on Saturday, October 20, 2018 from 8 a.m. to 1 p.m. at Greenwood High School (Scottsville Road – rear parking lot). Warren County residents can bring items such as old paint, chemicals, household appliances and electronics to dispose of in a safe and legal manner. This event is FREE and open to all Warren County residents. 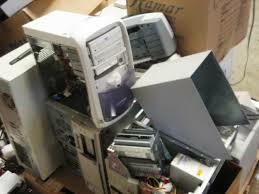 While most home computers and appliances are acceptable (most anything with a circuit board or a cord), Freon devices, yard equipment, radioactive materials and large appliances such as stoves, washers, dryers, etc. are not acceptable. 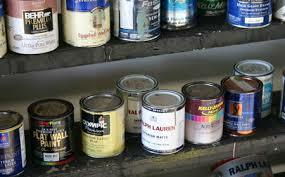 Single containers larger than 5 gallons will require prior inspections and approval, and tires will not be accepted. In addition, shredding will be available on site to dispose of and shred papers, cds/dvds, magazines, phone books, folders, etc. 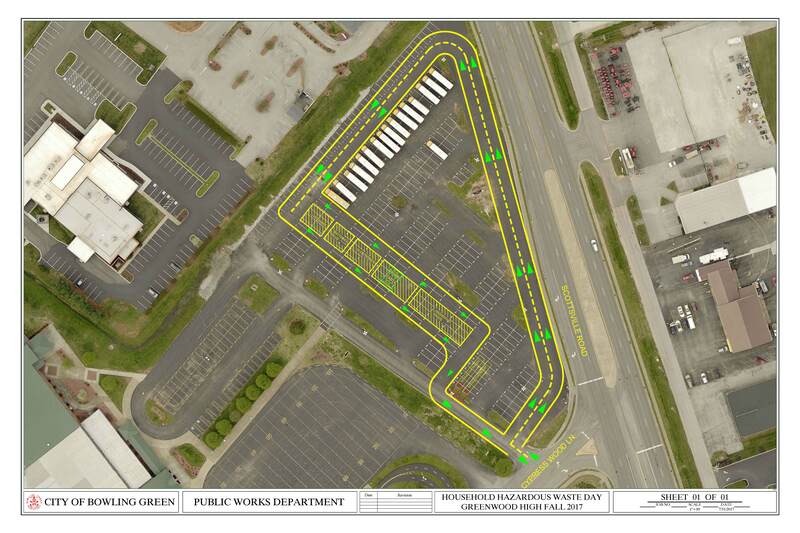 For more information, a full list of acceptable and unacceptable items along with a map of the disposal location, please visit http://www.warrencountyky.gov/household-hazardous-waste-day.